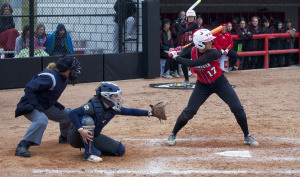 Youngstown State University softball standout Miranda Castiglione is a candidate for the Lowe’s Senior CLASS award. Castiglione was named as one of 30 senior NCAA student-athletes who excel on and off the field. CLASS stands for Celebrating Loyalty and Achievement for Staying in School. The award encourages student-athletes to make a positive impact in the community. To qualify for the awards, students must have achievements in four areas: community, classroom, character and competition. 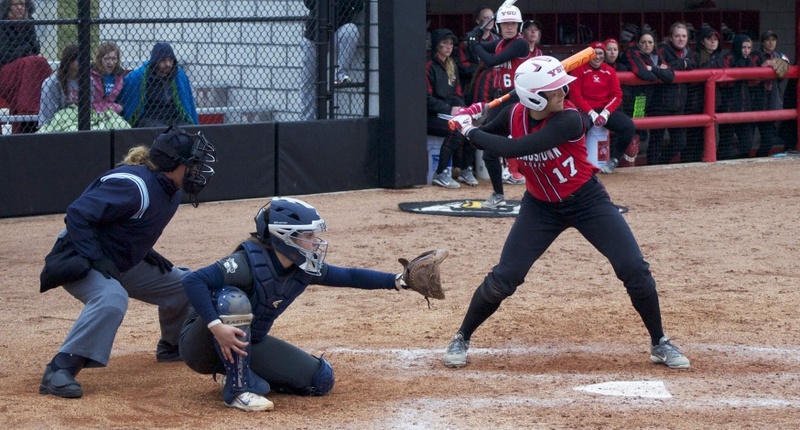 Youngstown State University infielder Miranda Castiglione (17) stands at the plate during a Penguins’ home game. 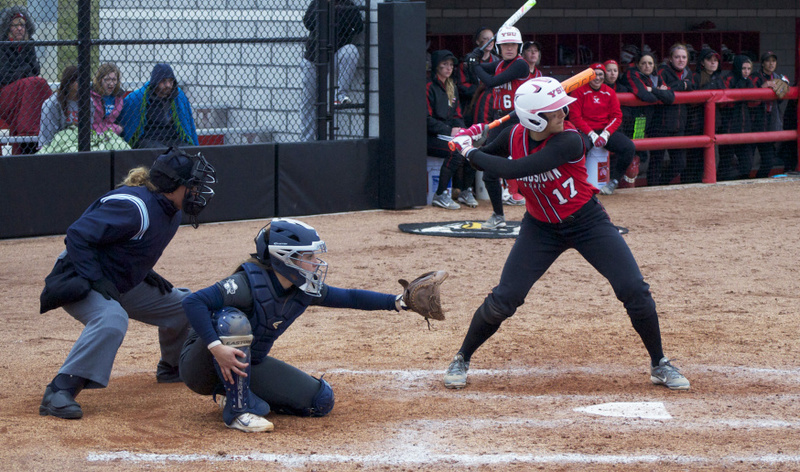 YSU Softball head coach Brian Campbell said he could not be more proud of Castiglione receiving this high praise not only for her work on the field but off the field as well. The 30 candidates will be narrowed down to 10 later in the season with a Senior CLASS Award winner to be named during the 2016 Women’s College World Series. “It’s pretty cool. I’m nominated with some girls that are pretty high up in softball from conferences like the SEC [Southeastern Conference] and Big 10, so coming from a smaller conference it’s just nice to be recognized out of all the players in all the conferences of the NCAA,” Castiglione said. Castiglione has been a standout student-athlete off the field but has also been a key factor to the Penguins success on the field. Earlier this month, Castiglione set the school record for steals in a career with 50 stolen bases to date. “Its a pretty cool accomplishment, but at the end of the day we got to win,” Castiglione said. Castiglione has been one of the better players in the Horizon League over the past three seasons, was named to the All-Horizon League First Team the past two seasons and was also named Horizon League Co-Player of the year in 2014 during her sophomore season. 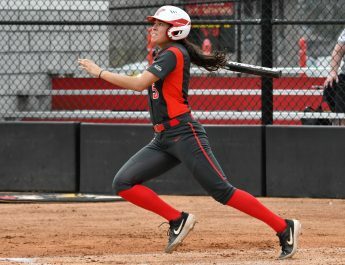 Coach Campbell said that Castiglione was able to make the transition well when she entered college during the 2013 season and was a big factor in her developing into the player she is today. “Coming in as freshman, she was able to make the change very well. Miranda has played multiple positions for us. When we’ve had kids go down, she hasn’t had a problem at all jumping from position to position,” Campbell said.